I just don’t get why they cannot find time to read the evidence: is there cash in it for them too? I started reading them years ago because I thought they were not part of the Deep State or in the pockets of the establishment – whats going on ? ANSWER: The entire theory is really pathetic. If this is a natural event, then the government needs to spend money to help people. If it is caused by humans, then they get to tax people to curb their behavior and save the world? This is no different than war. We invade Iraq on pretended weapons of mass destruction because it is profitable to Cheney and crew, but we do not invade North Korea who has weapons but nothing to profit from. Let’s see. Which one will I choose to get rich? These pretend scientists who are as corrupt as Cheney in my opinion, presume that if the ice melts the sea will rise or they use that statement to make money and scare everyone. They cannot point to anything of that nature taking place in history. They also completely ignore the research of real experts on the oceans and how they function. They ignore the fact that there have been ice ages and warming periods. 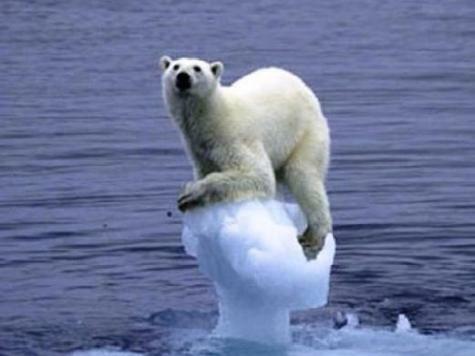 They fail to comprehend that if the ice melts, that is when it gets colder – NOT WARMER!. The Arctic can then begin to evaporate and that returns as snow building the glaciers. That is HOW ice ages form. These people think that if the ice melts the sea will rise and we all die so raise taxes and they will get endless grants. This is just such an absurd theory it reflects truly childish bedtime stories without a pebble of truth to build a foundation. These clowns have NO idea of how to conduct research. You follow the breadcrumbs. You do not start with a conclusion and then try to prove it. The Lamont-Doherty Earth Observatory at Columbia University back in 1956 published A theory of ice ages by Maurice Ewing and William Donn. They were the most influential oceanographers to date, yet the Global Warming people have completely ignored their work and bastardized it for political gain. A warmer Arctic Ocean would mean that water would flow more freely between it and the Atlantic, dissipating the cold making the Atlantic colder. There is the key to an Ice Age. If all the ice melted in the Arctic Ocean leaving open water that was then warmer by mixing with the Atlantic, then a warmer Arctic Ocean surrounded by colder land around it would produce evaporation and that water would then return back to the land in the form of snow. More snow that falls in Greenland and Northern Canada is what makes glaciers grow deeper. When the Arctic Ocean is covered in ice, then there is NO EVAPORATION and thus we do not move into an Ice Age – we get Global Warming which is historically when civilization expands. It is always the same. There is a natural 13-year cycle in red tides. I simply did 15 minutes of research and asked were there any major fish kills before the United States. Up popped many accounts. So I fail to see how these people think. The first thought that runs in their mind is we caused it. They then claim it must be farmers when there were none in the 17th and 18th centuries using chemicals.